Many governments have adopted policies that provide incentives to increase the amount of electricity generated from clean and renewable sources. However, the availability of such sources, e.g., solar or wind energy, is unpredictable and varies throughout the day and seasons. To account for this variability electricity systems need to become more flexible, i.e., there must be measures in place to ensure that demand and supply are balanced when renewable sources are not available. 1. Demand shifting: consumers change the time of using electricity, e.g., instead of using their dishwasher at 6pm, they use it at 10pm. 2. Demand reduction: consumers simply reduce the amount of electricity they use and do not increase it at another point in time. 3. Self-generation: consumers, instead of obtaining electricity from the network, generate their own electricity through, for example, a solar panel or other small-scale generation installed in their own home or business. In this work, we concentrate on the latter two sources of consumer flexibility and there are three aims to the research. Firstly, we examine the benefits of different demand reduction policies in terms of costs to electricity consumers. Secondly, we seek to establish the benefits of allowing consumers, who have the capability to self-generate, provide electricity to consumers other than themselves. Finally, we consider the effects of market power on electricity prices. In this work, market power refers to a supply company’s ability to increase electricity prices by withholding some of the electricity they could supply, particularly in times of high demand and low overall supply. Traditionally, demand reduction policies involved the system operator, who would choose the consumers that must reduce their demand as a measure of last resort. Two such policies fall under this category, ‘static’ and ‘rotational’ policies. Under a ‘static’ scheme, the system operator can choose a specific group of consumers, e.g., residential or industrial, who must reduce their demand. They do so according to predefined conditions laid down in a contract. Under a ‘rotational’ policy, the system operator switches between different consumer groups when choosing whose demand needs to be reduced. However, technology improvements have allowed smart meters to be installed in consumers’ homes and businesses. Smart meters are small electronic devices that can provide information to consumers about real-time electricity prices and to suppliers about real-time electricity use. This allows consumers, or so-called aggregators on their behalf, choose how and when they reduce their electricity demand. In an electricity system with a large presence of smart meters we can therefore consider a ‘smart’ demand reduction policy, which we compare to the static and rotational policies. In this research, we develop a methodology that evaluates electricity consumer costs for different demand reduction policies. We do so for a case study of the future Irish electricity system which we assume has a large presence of renewable energy and thus, a significant need for flexibility. The results show that the flexibility brought by demand reduction can reduce costs for consumers. When comparing the different policies, we find a ‘smart’ demand reduction policy leads to the lowest costs for consumers. For ‘static’ policies we find it is better to reduce the demand of industrial consumers before that of residential consumers while a ‘rotational’ policy should be chosen over a policy that forces residential consumers only to reduce their demand. Furthermore, we find that allowing consumers with their own generation capability to provide electricity to other consumers has only minor benefits in terms of reducing electricity prices. Unsurprisingly, we also find that the presence of market power would increase electricity prices and therefore has a negative impact on consumers. These findings are significant given the increasing amount of electricity generated from variable renewable energy sources and given the imminent rollout of smart meters across many European countries. Moreover, the work highlights the importance of ensuring that the technical requirements needed for smart meters are put in place. 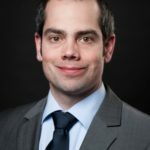 Valentin Bertsch serves as manager of the Energy Policy Research Centre (EPRC) and as research area coordinator for Energy and Environment in the Economic and Social Research Institute (ESRI). He is an energy economist and also an expert in decision analysis and model-based energy systems analysis, particularly the integration of grid constraints in power systems models, targeted at power generation and transmission expansion planning. Mel Devine joined the Energy Institute in University College Dublin (UCD) as a research fellow in January 2018. 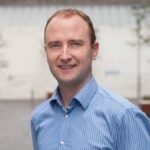 Prior to joining UCD, Mel was a postdoctoral researcher, firstly in the Mathematics Applications Consortium for Science in Industry (MACSI) in UL and, secondly, at the Economic and Social Research Institute (ESRI) and Trinity College Dublin.